Our favorite baby strollers for infants and toddlers (for 0-12 months) and full-size strollers. 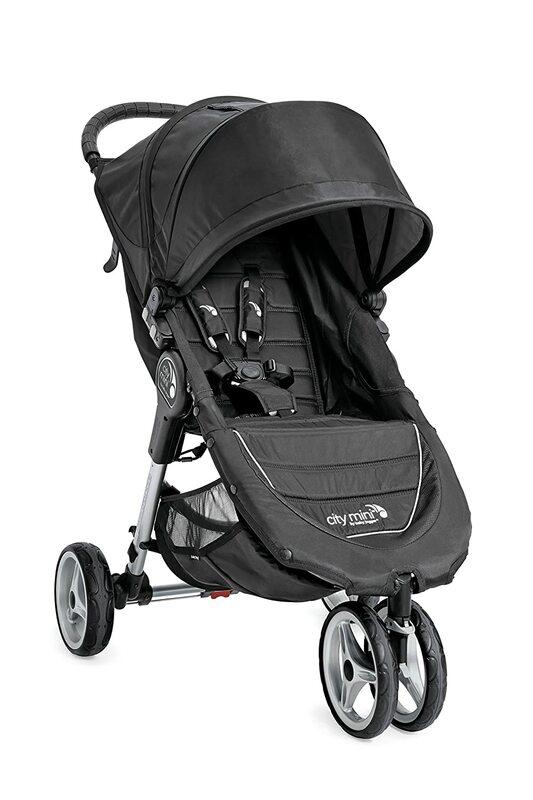 1) Baby Jogger 2016 City Mini Stroller. The essence of urban mobility: lightweight, compact and nimble. Patented quick fold technology allows stroller to fold in one step. Multiple recline positions with a 50 lb. weight capacity.UB 50+ sun canopy can be adjusted for differing head heights. Features two peak-a-boo windows. 8″ EVA tire tread with lockable swivel front wheels and front wheel suspension. 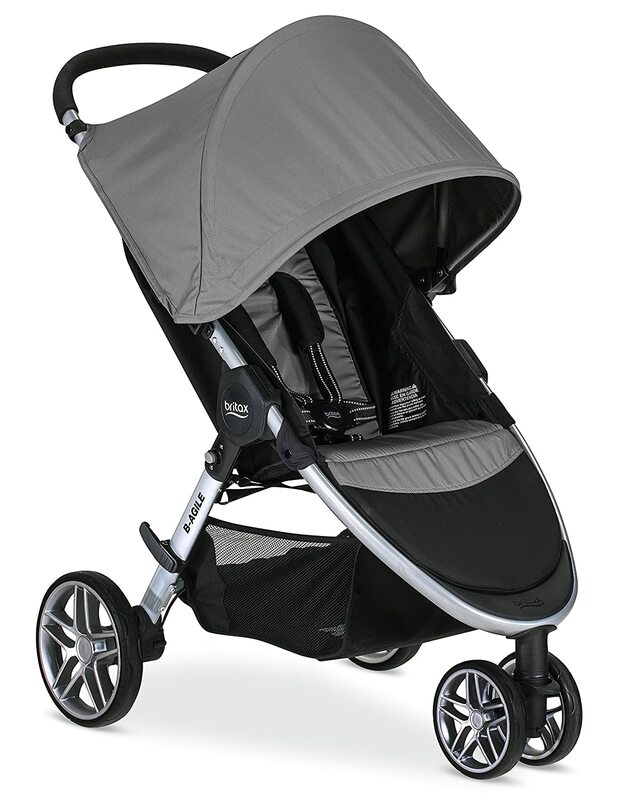 2) Britax 2017 B-Agile Stroller. One-hand fold design easily closes the stroller in seconds. Lightweight aluminum frame makes the B-Agile 3 easy to carry. Click & Go System allows for a quick connection to any Britax infant car seat. 3-wheel configuration with swivel front wheels provides an ultra-tight turning radius. Large under-seat storage and additional zippered pocket fit all of life’s essentials. 3) Baby Jogger 2017 City Mini Travel System. 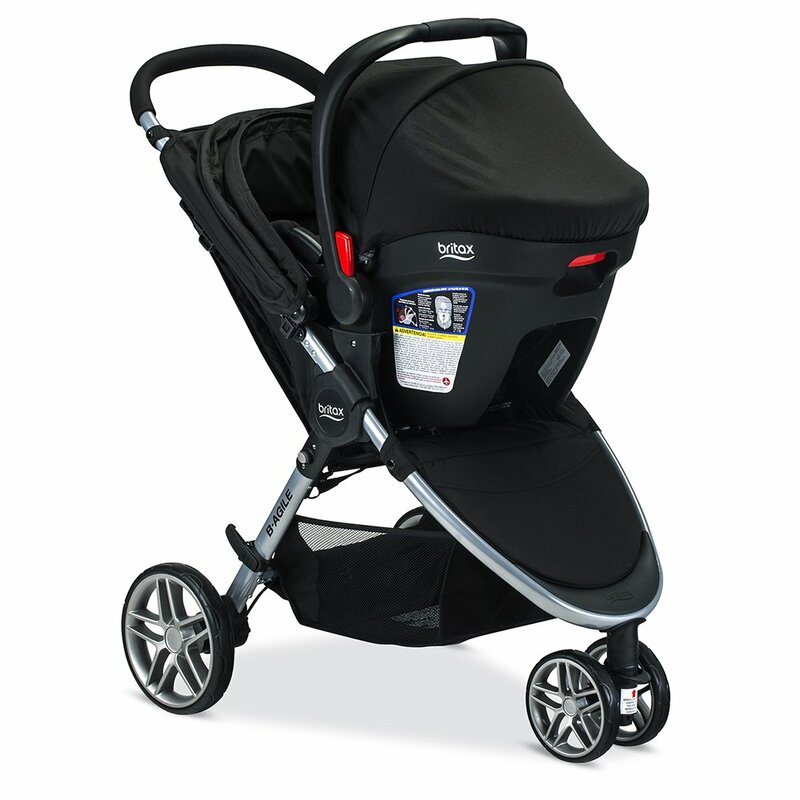 Included adaptors allow secure and easy infant car seat attachment to stroller. Stroller dimensions Unfolded: 42″ x 24″ x 41.5″. Stroller dimensions folded: 9.25″ x 24″ x 31″. 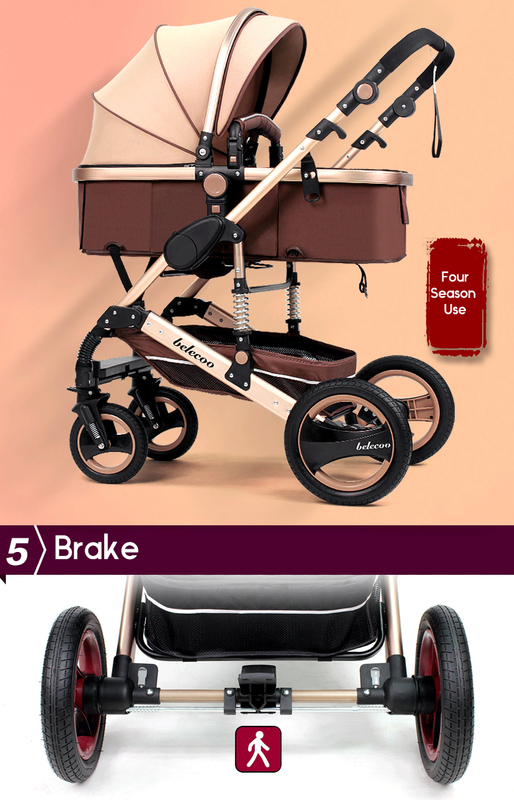 Stroller weight (without car seat): 16.8 lbs.. Stroller supports children up to 50 lbs. Car seat safely seats children weighing 4 to 35 lbs., and up to 32″ tall. Car seat measures 22″ D x 17″ W x 24″ H. Car seat weighs 8.6 lb. (without base). 4) Britax 2017 B Agile & B Safe 35 Elite Travel System. Safe Cell Impact Protection is an integrated system of safety components that works to protect your child beyond federal safety standards. 2 layers of side impact protection, formed by a deep foam-lined shell and quick-adjust head protection, absorb energy and shield your child from the most dangerous type of collision. 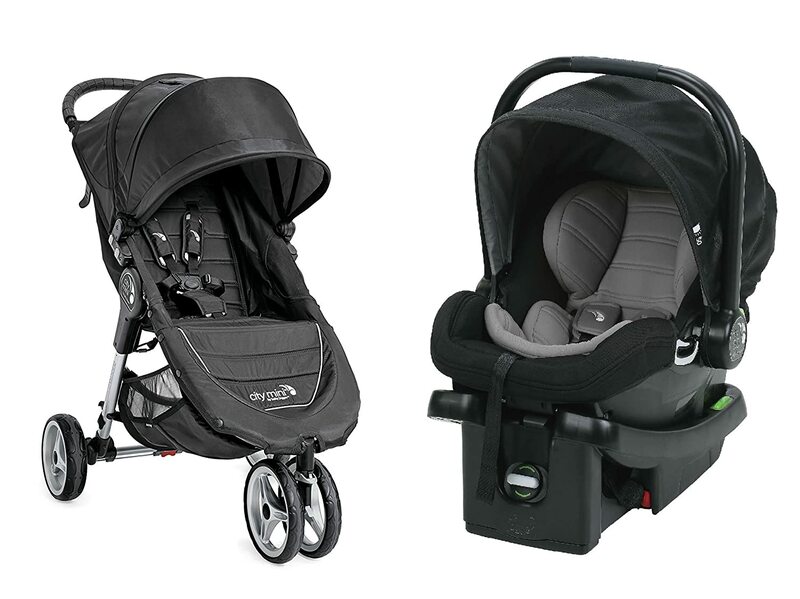 Click & Go stroller compatibility allows you to pair the car seat with any Britax single stroller and customize the perfect travel system. 5) Belecoo Baby Stroller 0–36 newborn Stroller Inflatable Natural Rubber Wheels Four Wheel folding bb car. 6) Folding Baby Carriage Lightweight Prams For Newborns Portable Baby Cart For Travel Sit Lying Mode Baby Pushchair. 7) Luxury Baby Stroller High Landscape Portable Baby Carriages Folding Prams For Newborns Travel System 2 in 1.